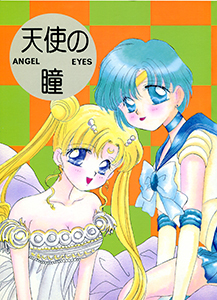 RunRun with a Sailor Moon Short Story is Online! Welcome back everyone! 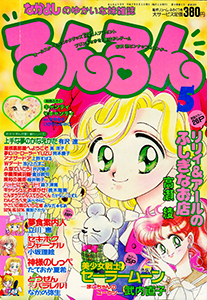 We are sorry for the delay in this week’s update again, but we still have more fun for all to [email protected] This week, we continue to share our finds of RunRun magazine, with the May 1995 issue, containing another Candy Candy furoku, and the Sailor Moon short story, “The Melancholy of Makoto”! RunRun May 1995 Full Issue! as from RunRun May 1995! Our garage sale is still ongoing, with buy one get two free on all doujinshi and magazines! We also started a penny sale for everything we have that has been taken apart, just pay a penny and shipping! Check out the garage sale for some awesome content, some of which have yet to be posted on the site! They may sell faster than you think! That all said, we will be moving in the coming weeks and will be unable to process orders until after the move. However you can still claim anything in our inventory to be held until that point if you wish! Welcome back everyone! We are sorry for the delay in this week’s update, various things in our lives all lined up to where this was unable to be setup for yesterday. This week, we continue to share our finds of RunRun magazine, with the September 1994 issue! RunRun September 1994 Full Issue! Welcome back everyone! This week, we return to magazine postings, with galleries and downloads coming from the RunRun May 1993 issue! RunRun May 1993 Full Issue! 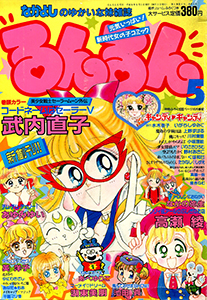 Codename: Sailor V as from RunRun May 1993! 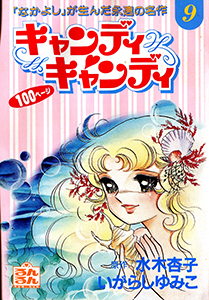 Candy Candy 1 furoku mini-book from RunRun May 1993! Pink Diamond series by Far East Cafe Club Online! Welcome back everyone! This week, we are continuing our doujinshi postings that were graciously donated to us by wolf1806! This batch the Pink Diamond series by Far East Cafe Club! Welcome back everyone! This week, we are continuing our doujinshi postings that were graciously donated to us by wolf1806! This batch is by Zard 1/2!